There are very few places in Australia that come close to Noosa as a prime holiday destination. It has it all – beautiful beaches, friendly locals, great holiday accommodation and the hinterland just a short hike away. On top of that, there is great shopping along Hastings Street and a wealth of cafes, restaurants and bars for avid foodies to lose themselves in. Driving along the Sunshine Coast can be extremely pleasant, depending on when you decide to travel. There are a number of exceedingly popular holidaying spots all along the Sunshine Coast, and during peak holiday periods the roads leading out of Brisbane can be an absolute nightmare. Time your drive carefully and leave early in the morning if at all possible. This will give you the chance to avoid the busy traffic near major urban areas and really settle in for a comfortable and enjoyable drive. There are some great sights along the Sunshine Coast that can complement any Noosa holiday, including the Glasshouse Mountains – and they’re a lot easier to enjoy if you’re not raging at bumper-to-bumper traffic along the Bruce Highway. If you decide to travel by car, the added advantage of leaving early in the morning is the possibility to stop at a few places along your journey and soak up some sights. You don’t have to go far off the highways and main roads to find some great places to let the time slip by. Noosa’s nearest airport is the Sunshine Coast Airport, around half an hour south of Noosa. There are regular direct flights from Sydney, Melbourne and Brisbane, with the longest taking around 2.5 hours (from Melbourne). If you’re travelling by plane, be sure to organise your travel ahead of time (either bus or car) or expect to pay a fairly hefty fee for a taxi – not a great start to your Noosa holiday. There are plenty of bus services running through Noosa and all the way up the Sunshine Coast. Coaches run the route from Brisbane and other nearby areas. Alternatively, you can get the 340 bus direct from Brisbane to Noosa, which will take around 3 hours and 40 minutes for the full run. If you’re taking the train, you’ll still need to find your way into Noosa proper. There are three stations nearby – Eumundi, Cooroy and Pomona. There are bus transfers available, which certainly makes the journey easier. 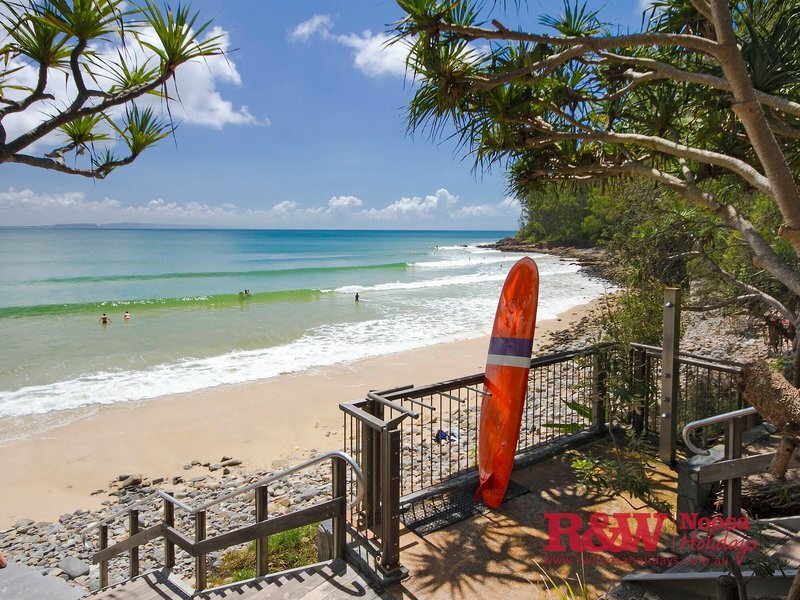 Noosa is nestled in a great spot on the Sunshine Coast, with plenty of nearby towns and urban centres for a daytrip during your ideal Noosa holiday. Caloundra lies south, Gympie to the northwest and Fraser Island further north. As a general rule, though, we find that most people find more than enough in Noosa to keep them occupied. Get back to nature on your Noosa holiday with a self-guided kayak tour through the everglades, take a surfing lesson, or get out amongst whales, dolphins and other marine wildlife. Noosa has a lot to offer the intrepid adventurer – Australia Zoo is a bit of a hike up the road, but always worth the trip, and Fraser Island isn’t too far away. Of course, it’s much easier to make the drive out of town if you’ve brought your own set of wheels along on your Noosa holiday. Crucial to a stress-free Noosa Holiday is ensuring you have a place to rest your head after a long day of getting out an about, soaking up some sun and enjoying all that Noosa has to offer. Lining up your accommodation in Noosa ahead of time will solve a lot of headaches, particularly as during popular holiday seasons spare holiday houses or holiday apartments can become scarce. As a popular tourism destination, Noosa holiday accommodation comes in all shapes and sizes. Whether you have luxury tastes or need somewhere for the doggo to have a good shake after a day at the beach, there’s something in Noosa for everyone. If you’re ready to start planning your Noosa holiday now, give us a call for a chat. We’ve been around for quite a while and have experience plenty that this beautiful town has to offer. We can help you find the ideal accommodation that’s close to everything you need to be near, while fulfilling your specific needs.